Throughout history, humans have had a built-in affinity for the sea — we are actually happier when we are close to a body of water. Perhaps it is no wonder, then, that many of us name blue as our favorite color. 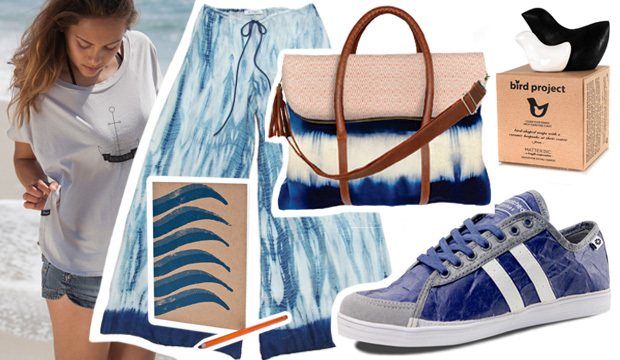 No matter the reason, blues, water-like patterns and tie-dye keep coming back every summer — as a timeless testament to beauty and simplicity. Here are a few of our favorite pieces this sea-son. Ultra light, super soft and amazingly comfortable, this organic cotton tee is great for the beach, yoga or just lounging around. It’s made in California from 100% organic GOTS-certified GMO-free cotton grown in India, and dyed with low-impact, chemical-free dyes that require less water. Purakai makes eco-friendly clothing that help heal and protect the oceans, lakes, rivers, and streams, and was founded by a father (a lifelong surfer, spearfisherman and freediver who taught his children to love and respect the sea) and daughter. The LOV Project philosophy focuses on being close to nature. 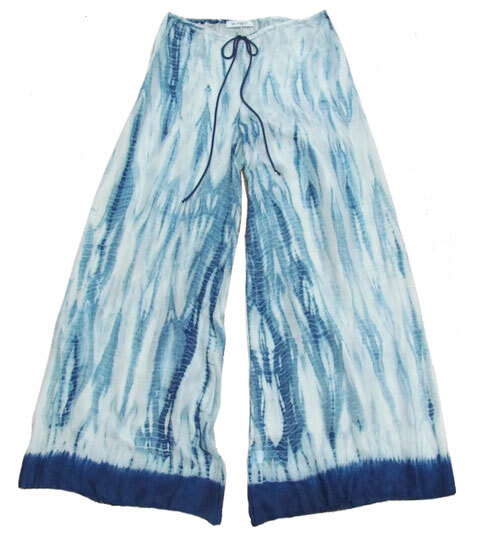 I just want to live in these python print tie dye pants all summer long. The fabric is naturally dyed with a process that includes organic and natural resources like eucalyptus, mulberry leaves, lemon grass and pine cones. Each pair is handmade (in the US) and one of a kind. I like to always carry an old-fashioned notebook around (the notes app is just not the same) for drawing, jotting down ideas or remembering interesting things I come across. 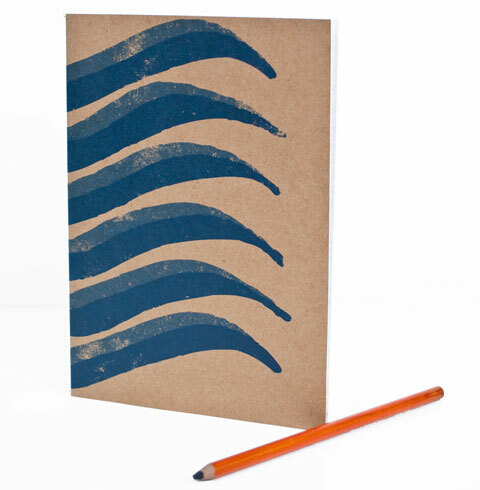 This note book by United By Blue is made from 100% recycled (unlined) paper with hand-sewn binding. By purchasing it you help UBB remove one pound of trash from oceans and waterways around the world. No matter how many cute clutches I have, the big bags are the ones that always get used the most. 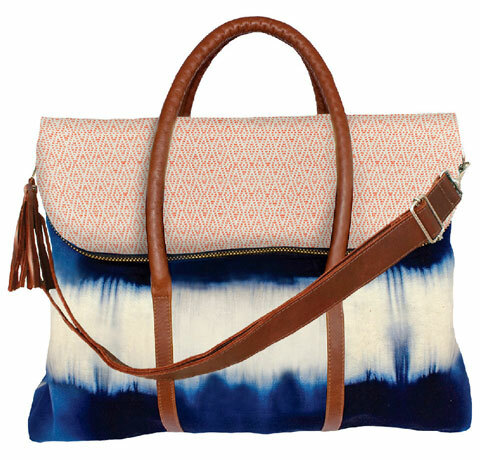 The mix of ocean blue rope dye pattern and brocade fabric on the Ixil Matea Weekender by Mercado Global is unexpected, yet makes total sense. It’s hand woven by indigenous women in a community for returned refugees in Guatemala, enabling the artisans to overcome poverty and oppression. I’ve carried one of these beauties around Europe this summer, and have never gotten so many compliments for a bag. A good pair of sneakers are a must, especially in the summer. The Unpressed Collection by Unstitched Utilities are made from Tyvek, which makes them super lightweight and strong, but also casual and comfortable. 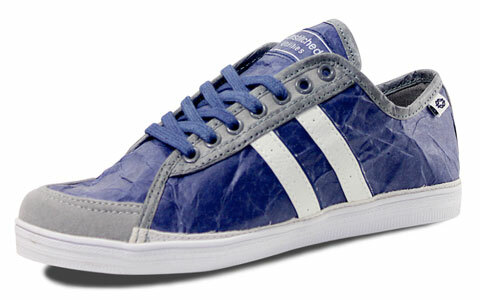 The tyvek is made with recycled material, which gives the shoes a cool, distressed appearance. Since they contain no animal products, they’re also 100% vegan. As you use this lovely soap the black outer layer is washed away to eventually reveal a while ceramic bird handmade from Louisiana clay — serving as both a symbol or recovery and potent reminder of all the sea creatures affected by the Deepwater Horizon oil spill (and other disasters like it). 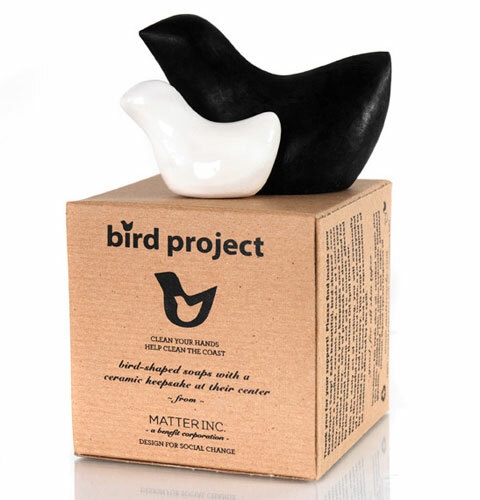 BirdProject soaps are made by a third-generation New Orlans soapmaker, using natural, locally sourced ingredients. Half the proceeds are are donated to non-profits that help clean up the gulf and care for affected animals.